he 2016 Annual Meeting and Exposition of the Association of the U.S. Army concluded Oct. 5 with retired Army Gen. Gordon R. Sullivan accepting the association’s highest award. The former AUSA president and CEO and former Army chief of staff received the General George Catlett Marshall Medal for a lifetime of selfless service to the U.S. Army and the nation. The civilian workers of the Department of the Army were lauded at a luncheon on the third and final day of the Association of the U.S. Army’s 2016 Annual Meeting and Exposition. From the rising nuclear threat posed by North Korea to Russian cyber hacks, from migration to terrorism to climate change, the U.S. is no longer shielded from trouble, as it once was, by two oceans and long distances. “The homeland is less and less a sanctuary,” said Robert Salesses, deputy assistant secretary of defense for homeland defense integration and defense support of civil authorities. Thus, a role the military has always had but has been long overshadowed is re-emerging: homeland defense. The nation is facing a complex security environment driven by four nation state challenges and the threat of violent extremism, and that has major implications for the Army and the joint force, the chairman of the Joint Chiefs of Staff said Wednesday. Marine Corps Gen. Joseph F. Dunford Jr. spoke during the sustaining member luncheon at the Association of the U.S. Army’s 2016 Annual Meeting and Exposition. The Army’s senior leaders are looking at the future, and a lot of what they’re seeing is pretty scary. Adversaries posing an “existential threat” could emerge within a decade, meaning an unfriendly nation or some other enemy could threaten the survival of the U.S. The final day of the 2016 Annual Meeting and Exposition of the Association of the U.S. Army begins with a town hall meeting on military family issues and culminates with the George Catlett Marshall Memorial Dinner. In the middle, the chairman of the Joint Chiefs of Staffs, Marine Corps Gen. Joseph F. Dunford Jr., speaks at an invitation-only lunch for AUSA sustaining members; Secretary of Homeland Security Jeh C. Johnson speaks at a forum on homeland security, with separate discussions on responding to natural disasters and acquisition; and contemporary military forums hosted by AUSA’s Institute of Land Warfare focus on preparing for 2030 threats, cyberwar and Pacific readiness. 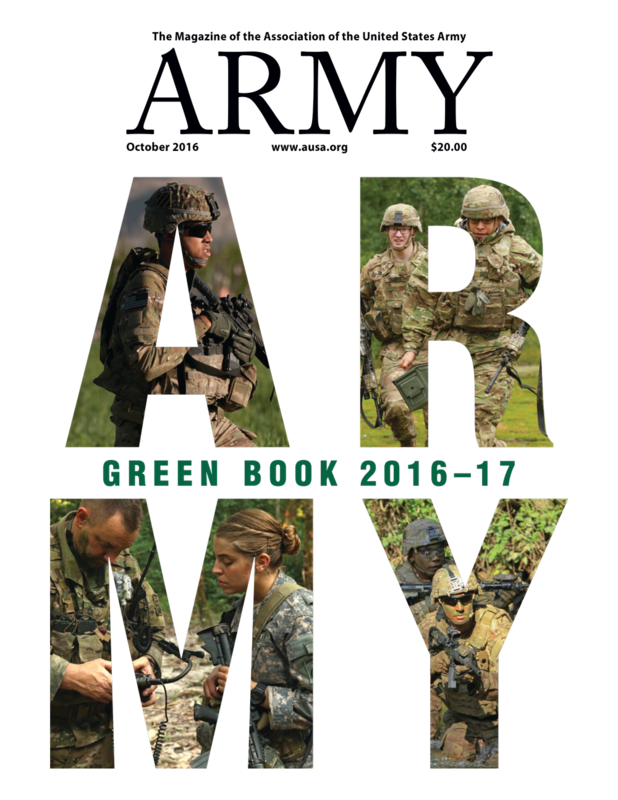 To meet future challenges, Milley said, the Army must rapidly adapt; reform its acquisition process to speed new technologies to the field; build future leaders who can operate on nonlinear battlefields without reliable communications with higher command; and make wise and ethnical decisions. Since the Cold War ended almost 30 years ago, the U.S. military has been able to operate around the globe largely at will. In war, it has enjoyed air superiority; its ships are unchallenged; and its land forces have been technically and professionally superior. But all that is changing, said Deputy Defense Secretary Robert Work at the Association of the U.S. Army’s Annual Meeting and Exposition. His comments came during an Institute of Land Warfare contemporary military forum. After years of assurance aimed at maintaining European confidence in the U.S., “it’s all about deterrence” again, said Lt. Gen. Ben Hodges, commanding general of U.S. Army Europe/Seventh Army. Hodges was the lead speaker at “An Ocean Closer: Synchronizing Actions and Words from the Baltic to the Black Sea,” an Institute of Land Warfare forum during the Association of the U.S. Army’s 2016 Annual Meeting and Exposition. The second day of AUSA’s Annual Meeting and Exposition includes a look at Army readiness challenges and strategic planning, with additional discussions focusing on warrant officers, NCOs, military families, the National Guard, the Army Reserve, the civilian workforce, and help for small businesses. The Army has made significant progress in improving support for military children in the ongoing era of frequent deployments, experts said at the first of three military family forums at the 2016 Annual Meeting and Exposition of the Association of the U.S. Army. Spc. Robert Miller has been named the Army’s 2016 Soldier of the Year, and Sgt. 1st Class Joshua Moeller is the 2016 Noncommissioned Officer (NCO) of the Year. The two winners of the Army’s Best Warrior Competition were announced Monday at the Association of the U.S. Army’s Annual Meeting and Exposition. Miller is an explosive ordnance disposal specialist with the 8th Military Police Brigade at Schofield Barracks, Hawaii. Moeller serves as a cavalry scout with the 108th Training Command, U.S. Army Reserve at San Diego. If the nation wants the Army to do all of the things it is being called on to do today, “you have to pay for it,” Army Secretary Eric K. Fanning said Monday. Support of Army operations in El Salvador and hometown infrastructure improvements earned honors for National Guard battalions from Minnesota and South Dakota, respectively, during a breakfast ceremony Monday at the Association of the U.S. Army’s Annual Meeting and Exposition. The Walter T. Kerwin Jr. Readiness Awards went to the 153rd Engineer Battalion of the South Dakota National Guard, Huron, and Forward Support Company of the 367th Engineer Battalion of the Minnesota National Guard, St. Joseph. The president and chief executive officer of the Association of the U.S. Army told more than 90 chapter leaders that “together, we’re going to get this thing done” in raising membership and better connecting with the Army to help get its story across to the American people. Opening day of the Association of the U.S. Army’s Annual Meeting and Exposition includes major addresses by top Army leaders, announcements of the Soldier of the Year and NCO of the Year, and several professional development forums. And like every day during the three-day event, the exhibit floor opens at 9 a.m. at the Walter E. Washington Convention Center with more than 600 displays in five halls. In addition to Warrior’s Corner, a centrally located U.S. Army exhibit with regularly scheduled presentations, there are 10 international pavilions as well as pavilions dedicated to small business, veteran hiring and homeland security. Innovators Corner, where Army research will be on display, also starts its three-day schedule of presentations. A discussion about why the Army Warfighting Assessment is such a critical part of Force 2025 planning is one of about 20 events set for Warriors Corner, the Army booth on the exhibit floor at the Association of the U.S. Army’s 2016 Annual Meeting and Exposition that will highlight key Army themes. Cutting-edge technology will be on display in the Innovators Corner pavilion at the Association of the U.S. Army’s Annual Meeting and Exposition. In the latest chapter of its ongoing quest to put more purr and less growl in future utility vehicles, the Army will unveil a new electric vehicle powered by hydrogen fuel cells at the Association of the U.S. Army’s Annual Meeting and Exposition.